Riders’ winning run extends to six. 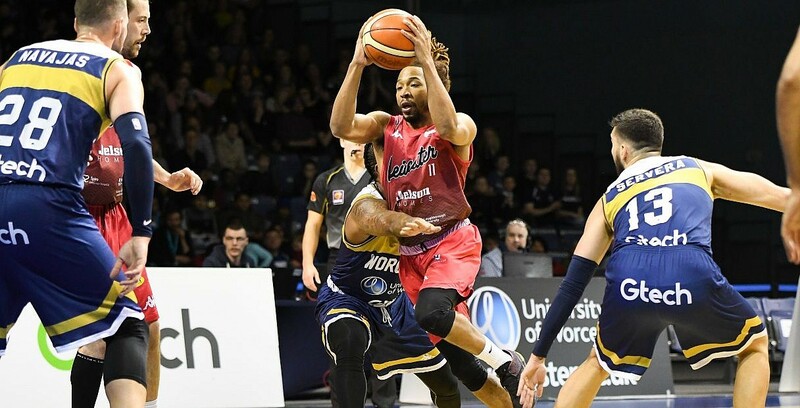 Leicester Riders picked up from where they left off in February with a road win against Worcester Wolves to start the month. Rob Paternostro’s side improve to 16-4 to take their winning run to six games as they denied the Wolves a third straight win. Turning point – The home side were within two points at 63-65 inside the fourth, but a 16-2 run from the Riders proved decisive. Worcester hit back with a 12-0 burst, though it was not enough as they fell to defeat. Key stat – Worcester gave up five turnovers in the crucial stretch in the fourth that gave Leicester the chance to take advantage and they finished with 20 points from turnovers, in total. Game hero(es) – Williams and Holder combined for 39 points in the win for the Riders with Pierre Hampton enjoying an all-round game with eight points, 11 rebounds and five assists, while Ward-Hibbert had another impact off the bench with 13 points.